Lift the right side deck board. Pull out the luggage cover and hook it on the anchors. 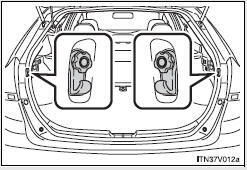 Retract the cover and release both ends, then lift it out. 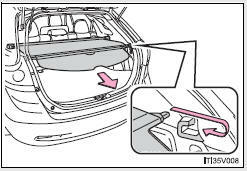 After removing the luggage cover, place it somewhere other than the passenger compartment. 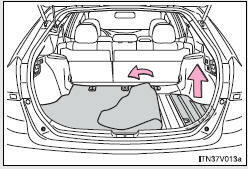 To avoid injury, always return the cargo hooks to their positions when they are not in use. 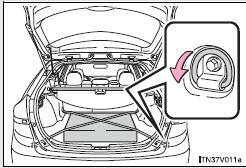 Do not place anything on the luggage cover. 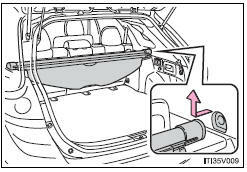 Such items may be thrown about and possibly injure people in the vehicle during sudden braking, sudden swerving or an accident.